After spending many visits to every brick yard in Sydney it wasn't long before we both realised we did not like any of the bricks on offer. So it was a no brainer when Metricon offered the Hebel package. 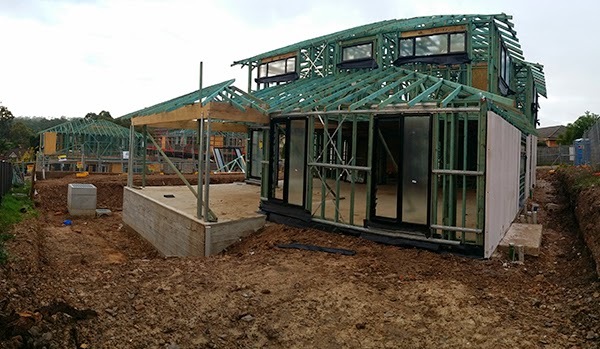 With the frame being completed yesterday (9th April), there was no time off on our site with the Hebel installation team starting on site today. 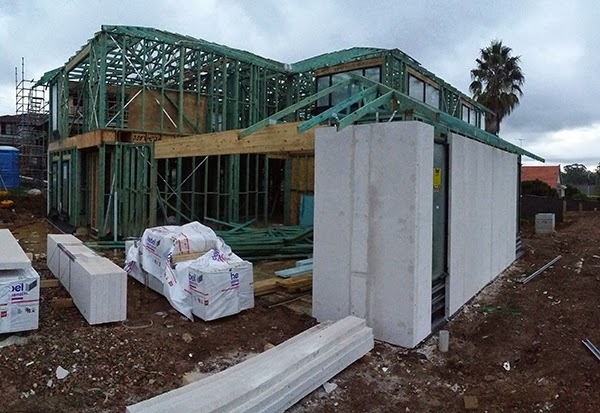 For those that don't know much about Hebel, Hebel is aerated concrete and the Hebel Power Panels that are being used on this build are reinforced with steel mesh internally. There are many advantages over standard masonry construction (e.g. clay bricks). Hebel is strong, versatile and delivers a range of benefits including thermal and acoustic insulation, fire protection and faster construction. With the shortage of brick laying teams at present, we are glad we are building with Hebel. View from the front at the end of the battle-ax driveway (with our natural pond that is developing). 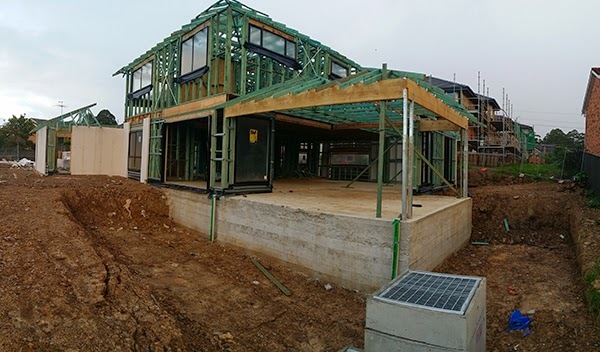 View from the front showing the corner of the garage and the Hebel panels being installed. View from the back of the alfresco and main living areas. 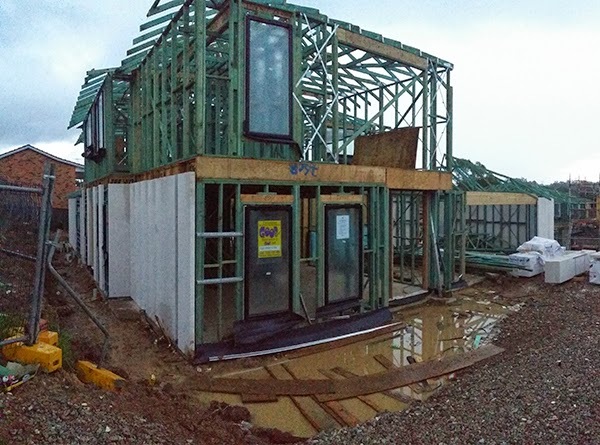 View from the back showing the dining room and Hebel panels being installed along full length of house all on day one. Wow that went up fast! Hebel is a smart choice especially given the shortage of brickies in Sydney. You'll be at lockup in no time!